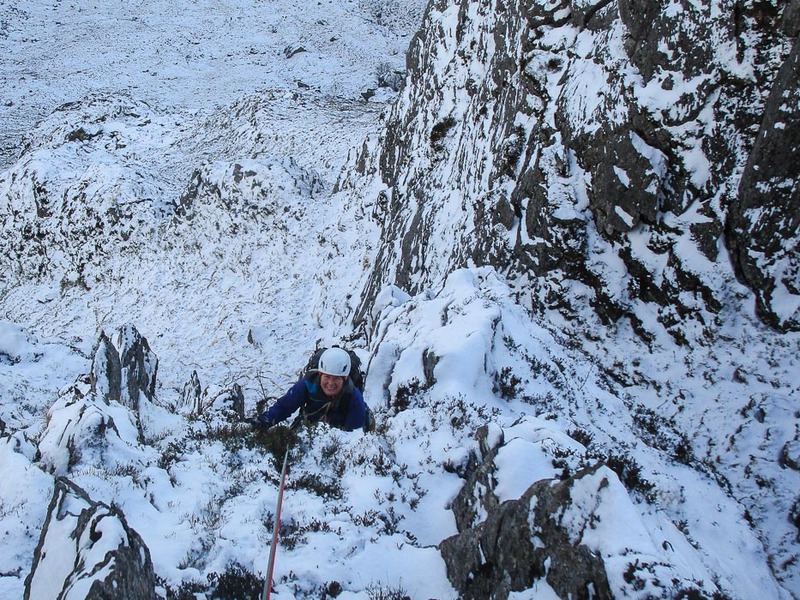 “Pamela Millar and I were out in Coire Fee yesterday (January 24)” Martin Holland writes. “We ended up high in the corrie and climbed a line starting below and right of The Comb and finishing to it’s right. There was quite a lot of easy/escapable ground, but it’s probably worth recording for the first and last pitches, which were good turfy mixed climbing. The route was named Hare Restorer because I scared a hare when throwing a sling over a belay boulder and it’s next to The Comb. This entry was posted in New Routes and tagged Glen Clova, Martin Holland, Pam. Bookmark the permalink.